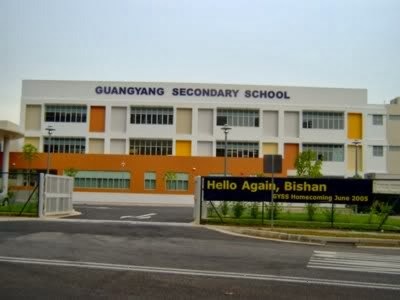 Guangyang Secondary School is located at 8, Bishan Street 12 in Singapore 579807. It is enclosed within Bishan Region. Bishan is known to be a public housing estate that is situated at the central section of Singapore. It has HDB flats with three, four to five bedrooms. Nearest MRT is Braddell MRT and the closest bus interchange is Bishan Bus Interchange. Amenities in the area include Junction 8, HDB Hub and Tao Payoh Entertainment Center. Some of the schools close by are Guangyang Primary School, Beatty Secondary School and Raffles Institution.